Various sources will attest to the fact that James "Jimmy" Cagney never uttered the lines "you dirty rat" or "all right, you guys!" in any of his famous gangster films. He may have spoken variations, but not those famous lines. Does anyone care? Does the mythical nature of these widely-attributed lines diminish them in anyone's eyes? It's an interesting philosophical quandary, perhaps. In any event, the "you dirty rat" spirit undergirds the image of Cagney, known for playing a caustic ruffian. He's best known for films such as The Public Enemy, Little Caesar, Mister Roberts, Sinners' Holiday, and The Roaring Twenties. Yet, Jimmy was also versatile, with a thriving reputation as a dancer, known for his swaggering, almost macho hoofing style. 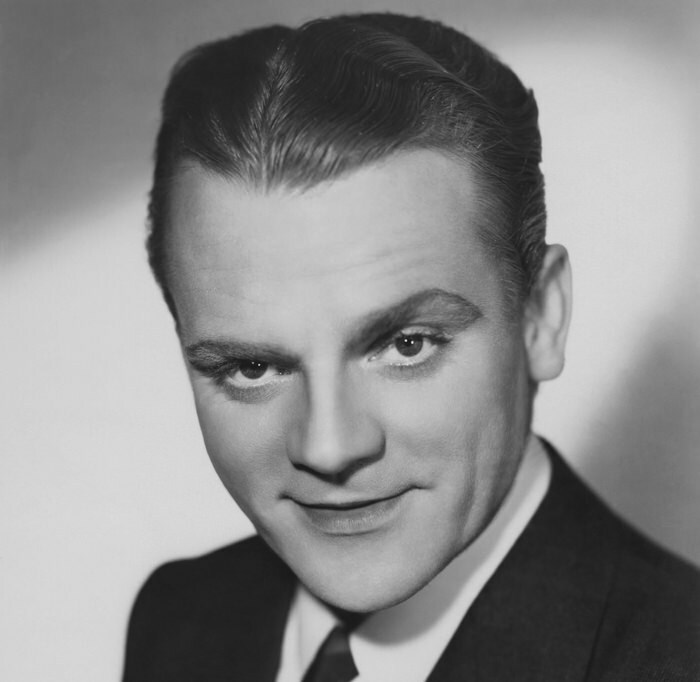 The son of a New York City bartender, Cagney started in show business in the Vaudeville grind before re-inventing himself in film. 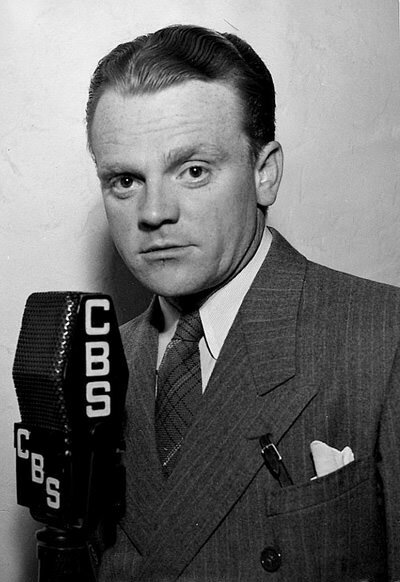 Cagney's range extended to radio, where he built a good-sized body of work in dramatic roles in such series as Lux Radio Theater, Suspense, The Camel Screen Guild Theatre, and The Gulf Screen Guild Theatre. In some of his Screen Guild Theatre appearances, Jimmy reprised roles from his films Yankee Doodle Dandy and The Strawberry Blonde. He also played roles in Next Time We Live and Night Must Fall. Fans of Jimmy's movie Angels With Dirty Faces will love his adaptation of it on Lux Radio Theater. Be the first to comment on "James Cagney"